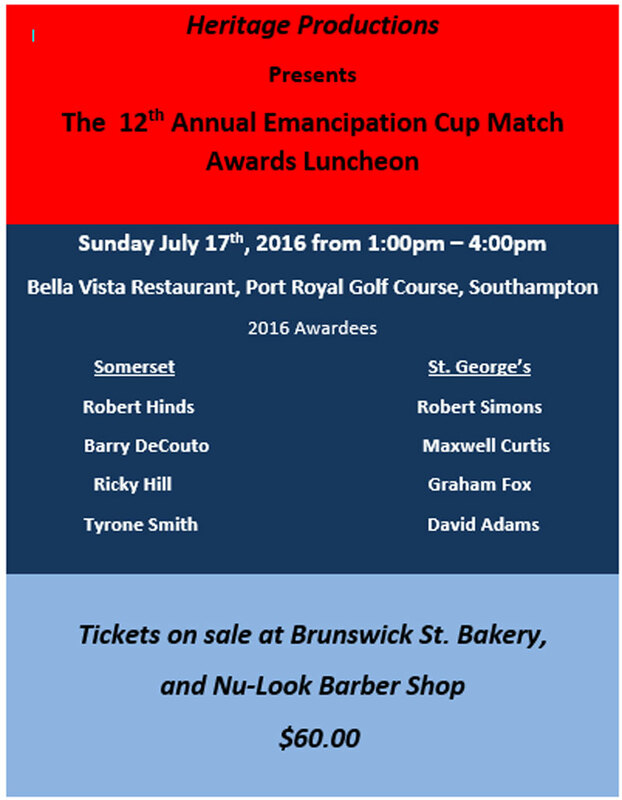 Heritage Productions will host the 12th Annual Emancipation Cup Match Awards Luncheon ob Sunday July 17th at the Bella Vista Restaurant at the Port Royal Golf Course in Southampton. Tickets — which cost $60 — are on sale at Brunswick St. Bakery and Nu-Look Barber Shop. I vote for David “Chick” Adams!!!!!! I would have voted for chick also…he is one of Bermudas best spinners ever! Some people are being rewarded for playing one cupmatch?? Congratulations anyway!